HELLERMANNTYTON Reliseal cable joints are suitable for cable connections in the most extreme conditions, outdoors and underground. They are universal joints for straight connections with IP68 protection. They have a strong polypropylene body (PP) filled with RELICON gel. The system is tested in accordance with EN 60529:1991. 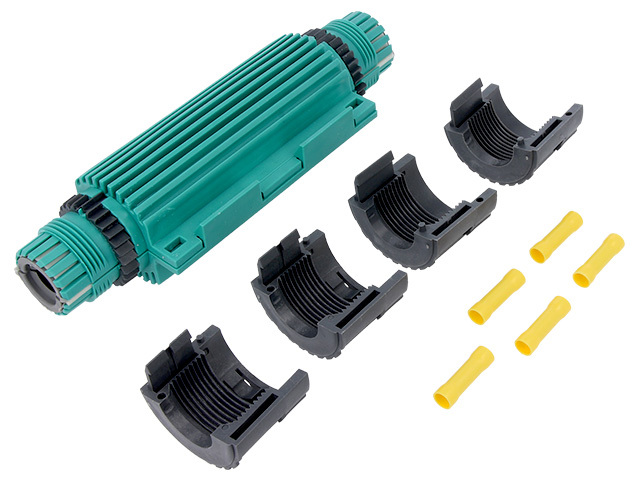 Joints can be used to connect polymer cables and wires with PVC, XLPE, PE, EPR, etc. Reliseal meets the highest requirements of electrical installations and provides mechanical protection, insulation and sealing at the same time. Thanks to this, the fitter saves time and does not need special tools for installation.